Have a question for the Brewmaster? Click the button below and ask away. Summertime heat is going strong all over the Great Basin. Luckily, we were prepared with 39º North Blonde Ale. It’s the perfect summer craft beer: light, refreshing, and brewed with hop notes of lime and fresh melon. Beginning this month, you can grab this summertime brew in cans. They’re perfect for anywhere your summer adventures take you. Look for 6-packs of cans of this clearly refreshing brew at our Reno and Sparks brewpubs beginning next week. As a local brewpub that has depended on the support of Reno and Sparks beer lovers, we like to extend that same support out to other local businesses. 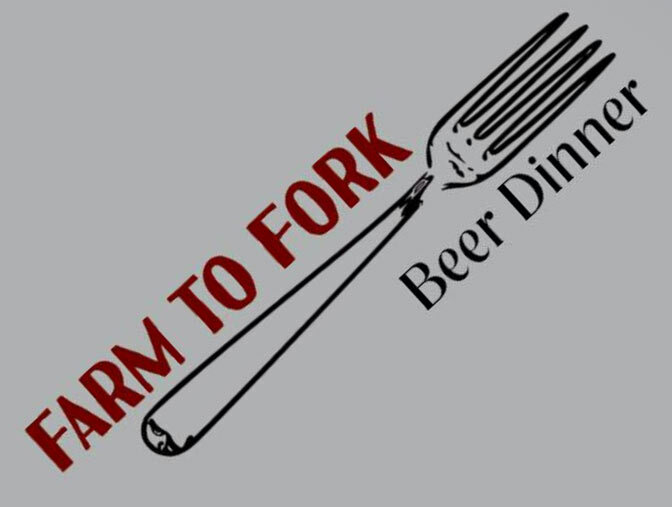 Our newest monthly event, Farm to Fork, is a great way to fill your belly with fresh food and delicious beer. Check-in starts as early as 6pm with a meet and greet and hors d'oeuvres paired with an 8 ounce beer following at 6:30. Dinner will start at 7pm and consist of five different courses, each one paired with an 8 ounce glass of beer. As each plate and beer are brought out, chef James Garza and a brewer will offer an introduction to each course. Dishes are dependent on the local products available at that time, so course information will be available closer to the event date. Tickets are $55 plus tax and gratuity. Call our Reno location at 284-7711 to reserve your spot, but don’t wait there’s only 30 spots left! 39 North Marketplace will wrap up for the summer on August 3 & 17 from 4-9pm in downtown Sparks on the corner of Victorian Avenue at 10th Street. If you haven’t been yet, don’t miss it! It’s a laid-back family friendly evening where you’ll find fresh produce from local farmers, artisans showcasing their crafts, live music, and of course Great Basin craft beer. Classic cars and hot rods will be cruising outside our brewery on Victorian Avenue in Sparks soon and we’ll be watching with a pint of craft beer. 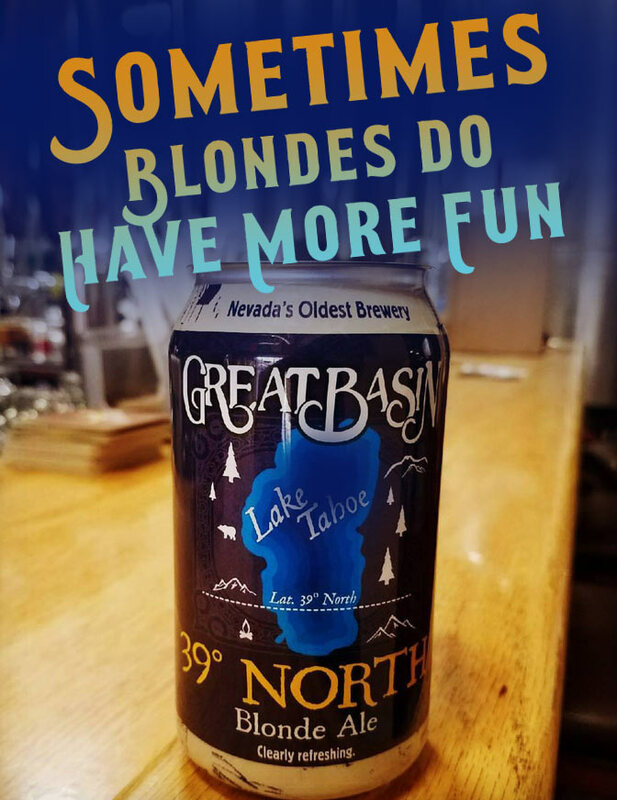 Swing on down and join the party with a pint of Great Basin beer in hand. We’ll be serving our brews right outside our brewery every day and every Hot August Night. Of course we’re a proud sponsor of the Reno 1868 FC, but we’re also the official location for the watch parties happening on August 19th and September 2nd when our Football Club has away games. Come down to our Reno brewpub and cheer our hometown team on with a huge group of fans. Our favorite mecca of meat, the Best in the West Nugget Rib Cook-Off, comes back to take over Victorian Square with the finest BBQ around. We’ll be pouring our craft brews in plastic cups so you can grab a pint (or more) from us to enjoy with your smoked half slab! 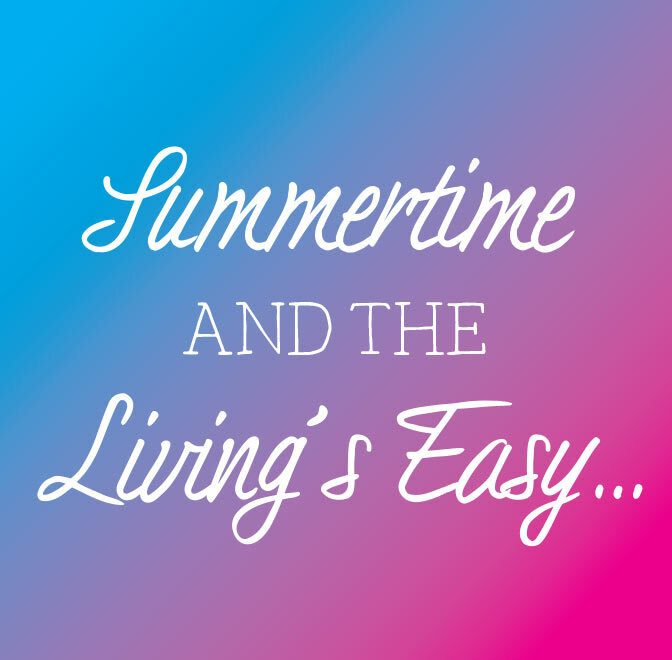 As evening falls, we’ll be celebrating with live music on our Sparks stage Wednesday - Friday at 7:00pm. 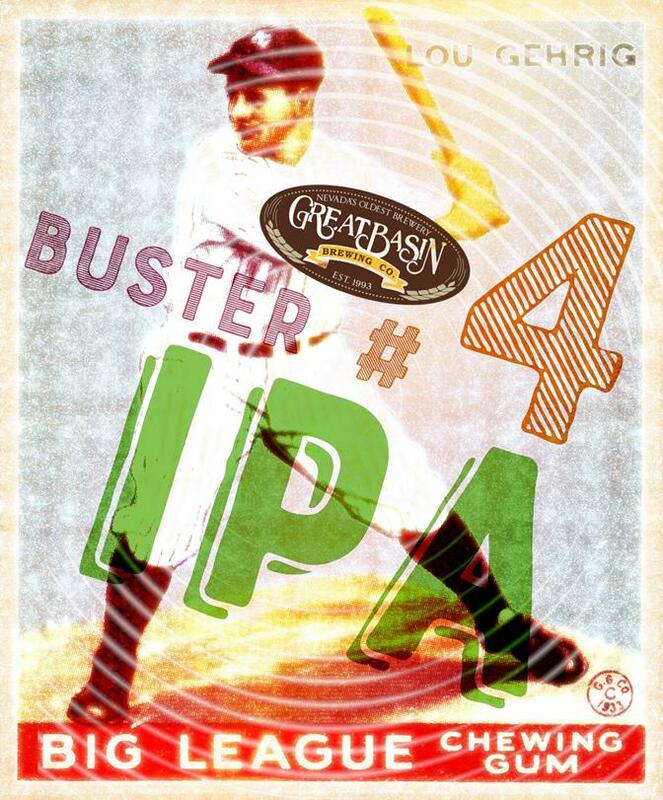 Buster #4 in an IPA named after Lou “Buster” Gehrig, and brewed in honor Corey Reich, the Hanses family, and all others living with ALS. This grand slam of a beer is brewed with a special blend of experimental hops donated by B.T. Loftus Ranches and Hopunion and has loads of citrus, spicy and herbal notes. $1 per pint sold will be donated to the ALS Therapy Development Institute in their quest for a cure and improved treatment options. It’s on tap at both our Reno and Sparks Brewpubs now! This golden beauty of a brew blends select malts and Belgian yeast with 100% Lattin Farms cantaloupes from Fallon. The result is an unfiltered ale with notes of ripe cantaloupe, clove and banana that you’ll fall head over heels for. This extremely limited release was crafted to pay homage to the Fallon Cantaloupe Festival & Country Fair, a Nevada original. 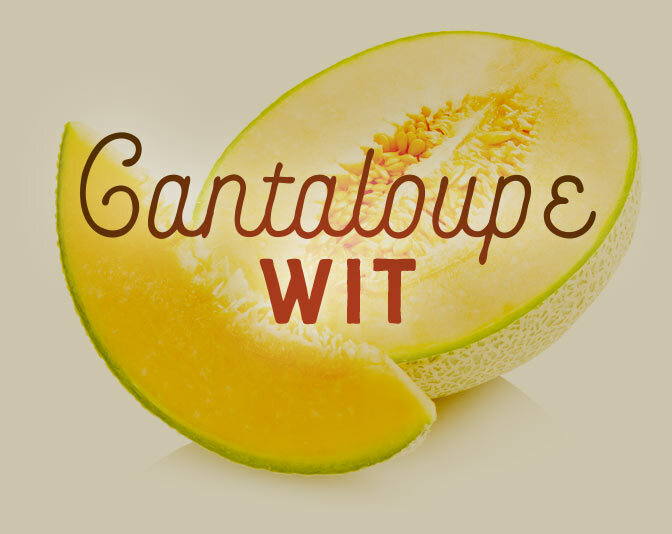 Make your way to the festival and pick up farm ripened cantaloupes and a couple pints of this homegrown brew. 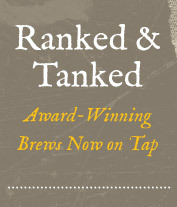 After the festival (if there’s any left) we’ll have it on tap at our brewpubs until it’s gone. Our much loved Dawn Patrol will be have a limited release in early September. Brewed to celebrate the Great Reno Balloon Race, it’s a light and refreshing Crystal Pale Ale that’ll lift you higher as you float through the rest of summer.